There is no question that the couple, Roger White and Noam Feinberg, live and almost breathe water. Roger was born and raised by the sea in St Ives, Cornwall. A high-end interior design career momentarily interrupted his aquatic flow of scuba diving and surfing until, aged 50, he retired from corporate life and moved to India. It is here that he progressed from deep tissue Ayurvedic massage, to undertaking extensive training in water therapy; which culminated in him founding the first specialist water therapy training facility in Goa: WatsuGoa. Noam, from Israel, was born to a father who was a lifeguard. Swimming even before she could walk, Noam’s passion for water led her to evolve from being a professional swimmer, water polo player, swimming teacher and lifeguard, to being an intuitive and empathetic water therapist. To this day, Noam adores distance open water swimming, scuba diving, free diving and kite surfing whenever the opportunity arises. A chance meeting during a water meditation at a dolphin reef in Israel, where Noam was working, brought her and Roger together in 2009. 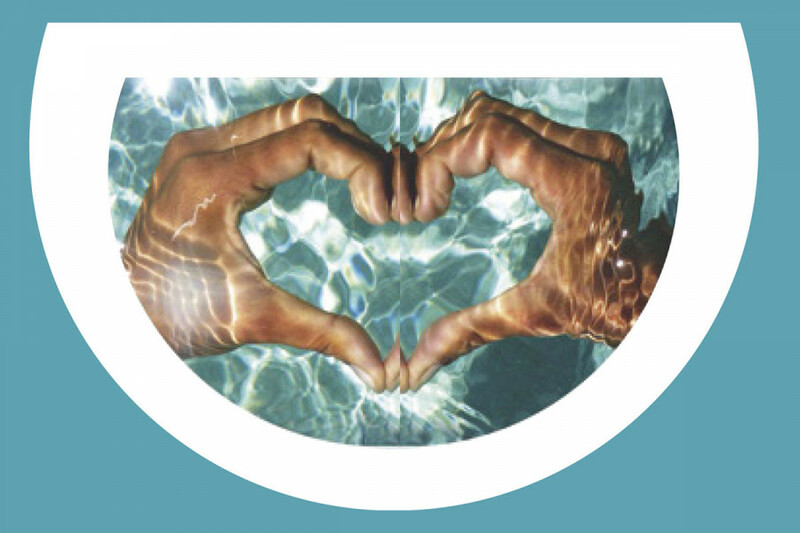 Much romance and travel later, and drawn by stories of the land and its people, they chose to settle in Ibiza in August 2011 – with a firm commitment to fuse their combined expertise into creating a dedicated water therapy centre. Their first 18 months living in a camper van proved testament to both their relationship, and their commitment to their cause. From a humble beginning, powered up with sheer dedication and determination, came the proud opening of the only oxygenated therapy pool on the island in 2012. 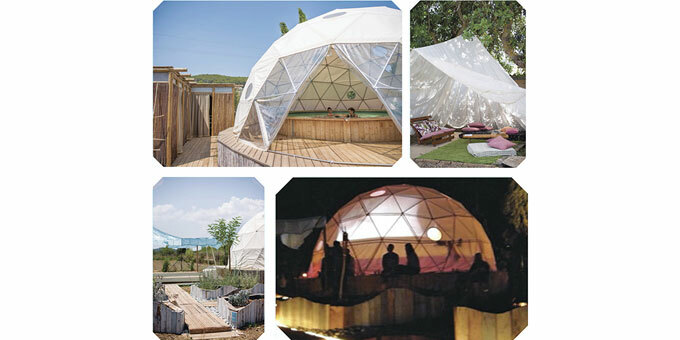 Al fresco, sheltered under a geodesic dome, and surrounded by the resplendent nature of Ibiza, their water healing centre, WatsuIbiza, stood complete. They, together with fellow dedicated therapists, offer Watsu® (water-shiatsu) and WaterDance®, which are gentle forms of aquatic bodywork. Their intuitive approach combines elements of CranioSacral therapy in water™, massage, pressure point release, stretching and fluid movement. 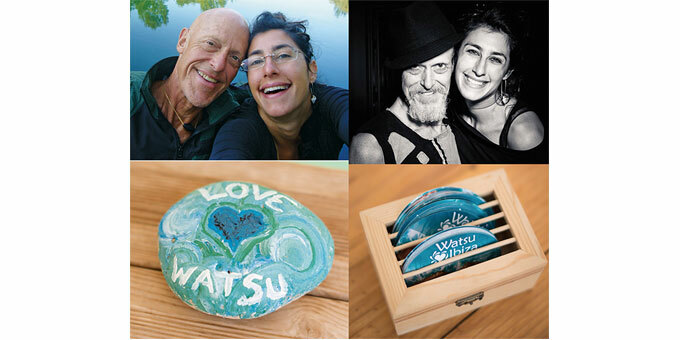 WatsuIbiza also offer regular workshops and training courses. The pool is chemical-free and maintained at body temperature – creating the liberating and highly conducive sensation of floating weightlessly in thin air. “This feeling of weightlessness releases the spine and softens the muscular structure. The body flows freely through the water with the guidance of the therapist’s gentle movements, allowing you to fully engage with this vibrant and energising element, both on its surface and, if one wishes, underneath it.” Sessions are open to individuals or couples, either by day, or under the stars. Trained as doulas, Roger and Noam also perform pregnancy sessions in water, and pregnancy bonding for mother, partner and baby. Clients don’t need to be able to swim, and a fear of water, or just of having your head submerged, is also respected and accommodated with great sensitivity.